The Ludwigshafen-based BASF currently has no agricultural production operations, Bloomberg reported, and that a merger with DuPont would be a good addition to the BASF portfolio. BASF is said to be working with advisers since last year to explore a bid for DuPont, and has not made a formal approach to DuPont, with the Bloomberg report stating that the people who quoted this asked not to be identified as the information is private. BASF is the world’s third largest producer of weed-killers, insecticides and other pesticides, after Syngenta and Bayer, according to data compiled by Bloomberg. Buying DuPont would add to its agricultural chemical portfolio and give it the second biggest producer of crop seeds, such as corn genetically modified to withstand insects and herbicides. Monsanto is the largest seed company. BASF has a market value of about US$64 billion. Dow, based in Midland, Michigan, has a market value of about US$56 billion. Following the takeover of Syngenta, BASF CEO Kurt Bock had been quoted as having said that he considered a deal in the field of agricultural chemicals. State-owned ChemChina made a US$43 billion bid for Swiss seeds and pesticides group Syngenta early this year, said to be the largest ever foreign purchase by a Chinese firm, which also marked a setback for US firm Monsanto, which failed to buy Syngenta last year. 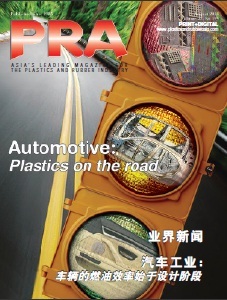 ChemChina last year bought Italian tyre maker Pirelli and early this year acquired German plastics machinery maker KraussMaffei Group for US$1 billion. 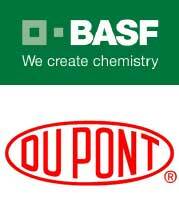 DowDuPont will be the world’s second biggest chemical company after BASF. DuPont discussed potential deals with multiple companies ahead of the merger with Dow, according to a 1 March regulatory filing by DowDuPont Inc., the new name of the merger. If either company backs out of the merger, it will have to pay a break-up fee of US$1.9 billion.